Feliway Friends Refill is to be used in conjunction with the Feliway Friends Device to help housemate cats live in harmony together. 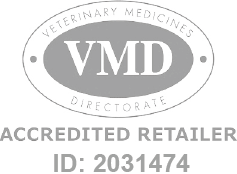 Feliway Friends Refill is a Prescription Only Veterinary Medicine and by law requires a prescription from your vet. Feliway Friends is the only product clinically proven to help reduce or prevent conflicts and tensions between household cats. Feliway Friends contains a synthetic copy of the cat appeasing pheromone (CAP) which is naturally produced by the mother after giving birth. This pheromone helps to create a bond between her and her kittens and creates a harmonious environment where her kittens feel safe.